Like any professional group, psychotherapists have wanted to have their work appreciated and acknowledged within the larger community. Part of this motivation is financial: without public awareness of what we have to offer, we will have no clients and quickly go bankrupt. Part of it is altruistic: we cannot help those who do not come to see us. But it isn’t enough just to say “I’m here.” We have to say what we can do, what the likely benefits are, and how much it will cost. And suddenly the door opens to a series of cognitive biases and self-serving statements that can distort the message. Overstate the likely benefits, perhaps by guaranteeing results (which would be great and appropriate if we could actually do this, but we can’t) or inflating expectations. Underestimate costs, by providing cost estimates based on rapid responders rather than typical cases, and by playing a psychotherapeutic variant of Name That Tune (“I can cure that problem in just X sessions”). Both of these problems are widespread in the field. We regularly hear about revolutionary new treatments that promise enormous benefits to every client, but that never seem to live up to the hype. The eventual effect is a justified skepticism among referral sources, particularly when the next psychological panacea comes along. The attempt to raise the profile and prestige of the field has the unintended opposite effect. And we ourselves can collude with hopeful referrers/funders by underestimating the number of sessions that will be necessary for a prospective referral. We want to have a reputation for quick, no-nonsense work (no lolling about on couches for decades with us! ), we genuinely hope to be rapidly effective, and prospective cases almost always sound more straightforward than they turn out to be. The referrer wants to minimize costs and speed up the client’s recovery. Both parties are motivated to arrive at an unrealistically brief estimate of the time therapy will take. The distorting effect can gradually take on ludicrous proportions, and many referrers now reside permanently in Fantasyland. 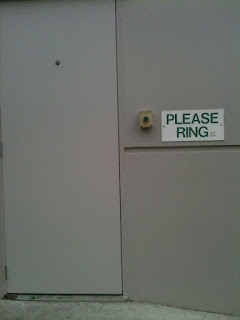 I routinely get phone calls from insurers calling about treatment-resistant claimants who have been off work three years or more, who have complicated and ongoing presentations (with comorbidities ranging from addiction to cancer), and inquiring whether I might take them on for, say, five sessions? For years I didn’t quite know how to respond to these requests, but in retrospect the answer is simple and obvious, and it is the one I now employ. “No, thank you.” It is inappropriate to establish a therapeutic relationship with a client that will be severed prematurely. How else can we overcome the hopeful bias in psychotherapy referrals? Face the fear that referrals will dry up, and base your initial estimate of the number of sessions required on a cold-eyed assessment of the genuine average number of meetings for cases a bit more complex than the one on offer (given that this one will inevitably turn out to be more complex anyway). Hide your enthusiasm under a bushel. Let your results sell your practice, not your promises. Aim to come in beneath your estimated number of sessions, rather than trying to “make a good start” and then hoping for extensions. What if honesty and humility mean that we don’t get enough referrals? Well: that's life. 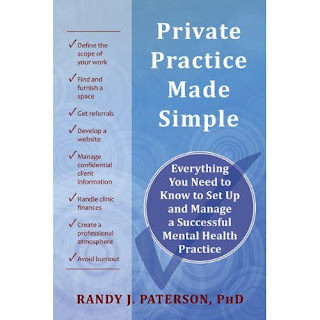 Check out my book Private Practice Made Simple, available at bookstores and through Amazon here. I'm relieved to hear that this is a problem in other fields, not just the ones I'm in contact with. It seems to be part of the curse of trying to balance "earning a living" with anything that involves healing or growth (or dealing with the unknown). Thanks for putting it out there. 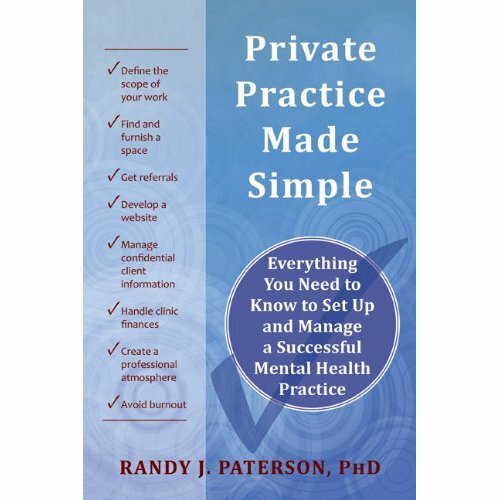 The fact that so many people are in individual or extremely small practices adds to the sense of isolation and risk, and that adds to the fearful need to oversell. And, I would add for my fields, the same fears keep most of us from actually examining with a clear eye what works and what doesn't. I have the same challenge in software development.